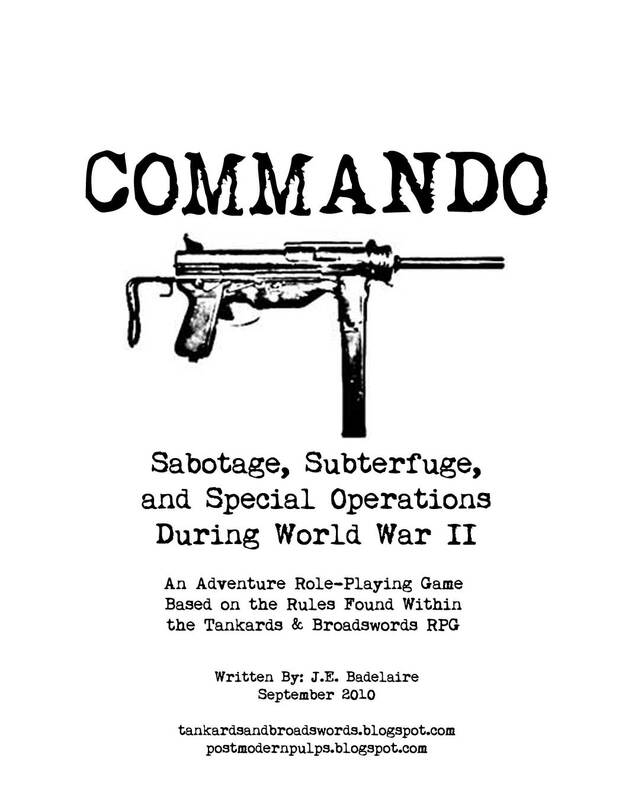 Although this blog isn't about role-playing games, it is one of my interests and there is, I feel, a strong tie between the sort of casual escapism that most PMP-style fiction gives the reader and the act of playing a fun adventure-style pen-and-paper RPG. Because of this, I think the two interests are more linked than many people might realize. Cool. I looked for something like this for months with little success. I'm a total newb, but I'm interested. Glad to hear. 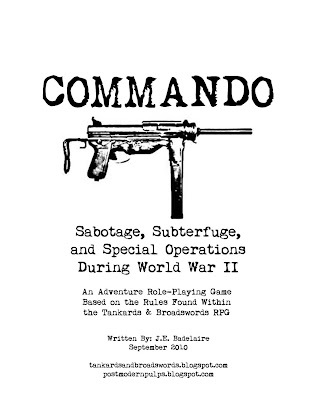 There are RPGs out there that deal with WW2, but I think they tend to focus on a "big picture" RPG view of the war (such as GURPS WW2). This game is going to be a lot more tightly focused. good to see you back, man!